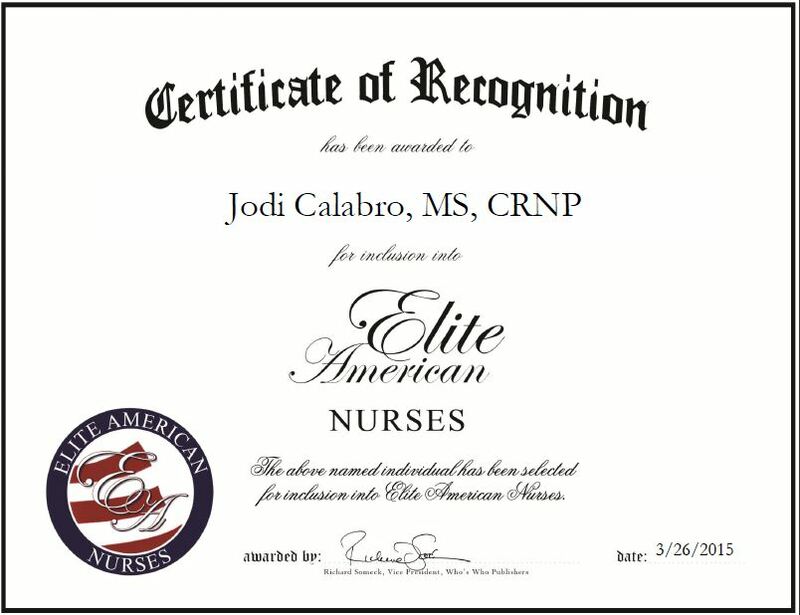 Duryea, PA, March 26, 2015, Jodi Calabro, MS, CRNP, Nurse Practitioner for Dr. Lobitz Family Practice, has been recognized by Elite American Nurses for dedication, achievement and leadership in renal care. Ms. Calabro is a highly regarded medical professional who started her career as an ICU nurse. Realizing she wanted more of a challenge, she went back to school and earned a Master of Science. Ms. Calabro is a certified geriatrics nurse practitioner who spends her days seeing patients, managing lab work and returning calls. 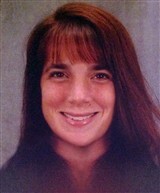 She also collaborates with physicians and other health care professionals to provide patients with comprehensive care. She joined Renal Consultants in 1999 and became an integral member of the company’s staff. She now works at Dr. Lobitz Family Practice. Throughout her career, Ms. Calabro served as a staff nurse in the medical intensive care unit, and in cardiac rehabilitation. She worked closely with patients and devises plans to assist them in regaining their health. Ms. Calabro is often sought after by other professionals for advice and guidance, and has received ample recognition for her work in the field. She attributes her success to her hard work and dedication to the well-being of her patients. Looking toward the future, Ms. Calabro would like to continue expanding her knowledge and growing in a professional capacity. Jodi Calabro was originally selected for inclusion in Elite Women Worldwide in March 2015. We are proud to be featuring Ms. Calabro again in Elite Women Worldwide for 2016. This entry was posted in Nurse Practitioner and tagged geriatrics, lab work, nursing, patient care, renal care, Renal Consultants. Bookmark the permalink.